A Delta flight headed to Atlanta from LaGuardia Airport had to be diverted because of severe weather at its scheduled destination, officials say. 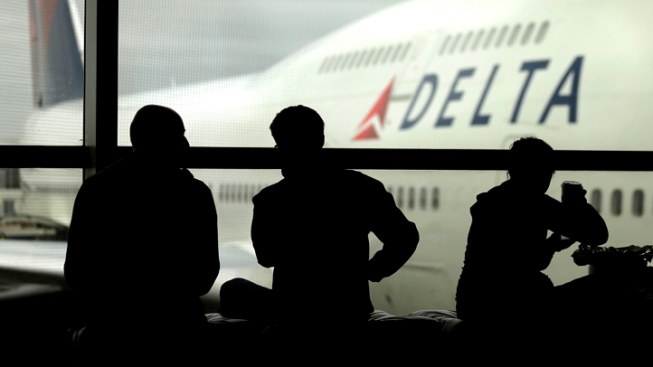 Delta Flight 1947 took off from LaGuardia at noon and was scheduled to land at Hartsfield-Jackson Atlanta Airport, according to an airline spokesman. But severe weather in Atlanta put the plane in a holding pattern near Savannah Hilton Head International Airport, the spokesman said. The plane ran low on fuel as it waited, and it was forced to make an emergency landing at nearby Hunter Army Airfield. Tensions Flare Over Sharpton's NYC "March For Justice"
The plane landed safely, and officials were working to refuel the plane and get the 155 passengers on board back to Atlanta, the airline spokesman said.